Enter for a chance to win the Walmart WarGames #Coin Contest and you could win 1 of 15,059 Walmart gift cards! You’ll get 500 coins for registering, 1,000-3,000 coins for successfully answering a question, and 5,000 coins for referring a friend. 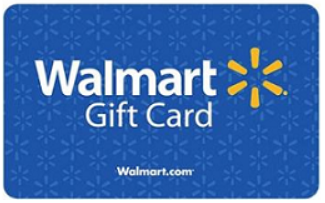 The top 15,059 coin earners will win a Walmart gift card valued at $15 to $3,000. Rack up as many coins as you can through November 28th. Desktop users only. Good luck! Registering. You will receive 500 coins for registering for the Contest. Complete an Episode. You will receive 5,000 coins when you complete an episode. the referred user. The referred user receives 2,000 coins when they sign up.